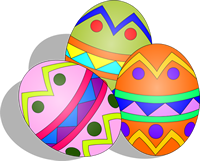 Sheriff Marlin N. Gusman is inviting the public to his 13th Annual Easter Egg Hunt from 10 a.m. to 1 p.m. Saturday, March 24 at Audubon Riverview, also known as "The Fly" area behind Audubon Zoo. The Easter Egg Hunt, which is free and open to the public, features games, music, and food starting at 10 a.m. The Easter Egg Hunt for children ages 1-5 begins at 11 a.m. The Easter Egg Hunt for children ages 6-12 begins at 11:45 a.m. Participants can turn in the eggs they find, in exchange for a candy gift bag.